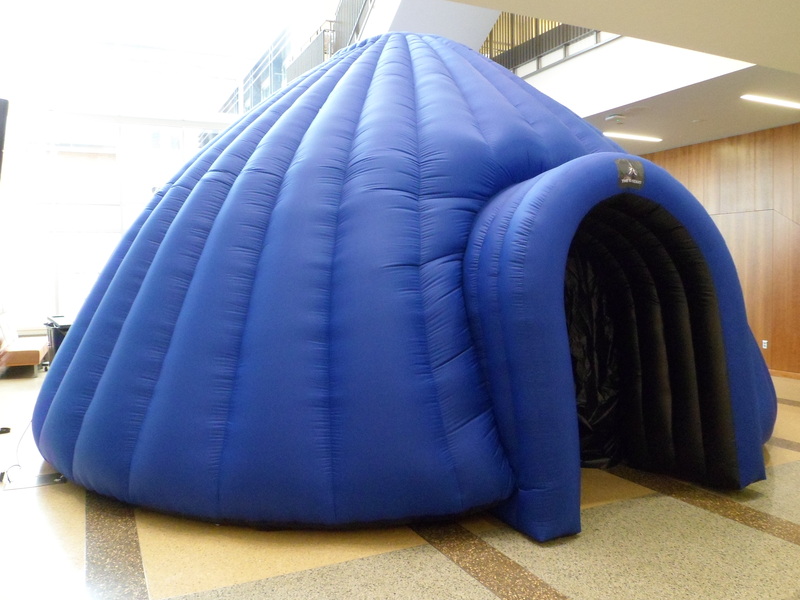 The Metro Dome project at Metropolitan State University in Saint Paul, Minnesota is one of a growing number of programs within the GeoDome Network. MSU will use their GeoDome Theater system in a variety of ways — including undergraduate education, community engagement, and other science outreach programs. Programs will be presented using WorldViewer, as well as NASA/JPL’s Eyes platforms – Eyes on the Solar System, Eyes on the Earth, and Eyes on Exoplanets. 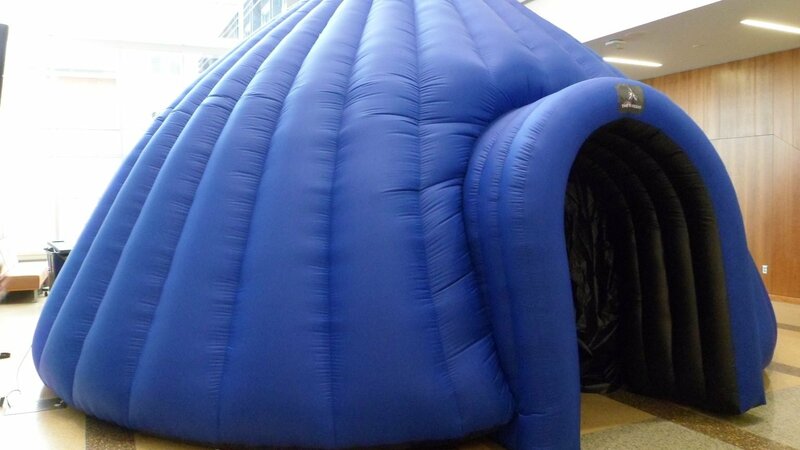 Undergraduate courses will include faculty-run programs inside the GeoDome, particularly in the areas of Astronomy, Earth and Climate Science, Ecology, Environmental Science, and GIS/Geography. “Science Saturdays” – an informal, student-run, volunteer science program – will offer Saturday morning programs to under-served K-12 students throughout the Twin Cities. A typical example of community outreach is an event co-hosted with Trout Unlimited on April 15, 2016. Approximately 500 middle and high school students will use the Metro Dome as a theater with short, educational movies on fish identification, water conservation, and climate change.